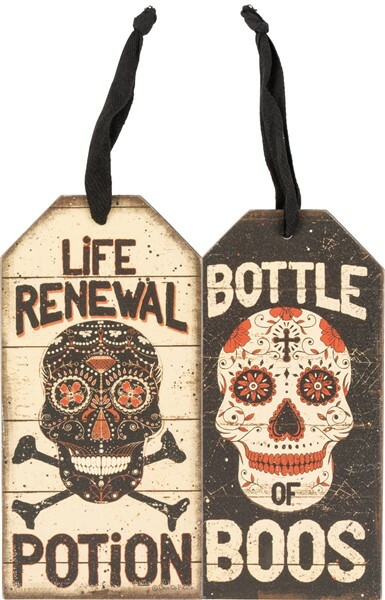 Let the Halloween and Day of The Dead celebrating begin with this fun bottle tag. Great for your party or as a gift for your host! It is two sided with a saying on each side. They are made of wood, paper and fabric and are approx 3" x 6".